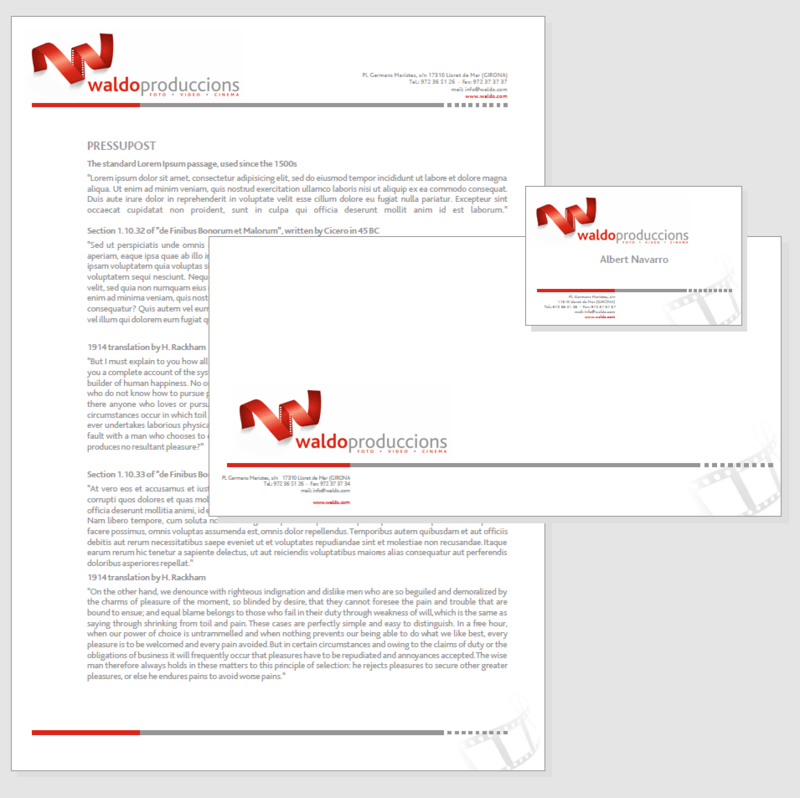 Brand creation for Waldo Productions. Corporate identity design. 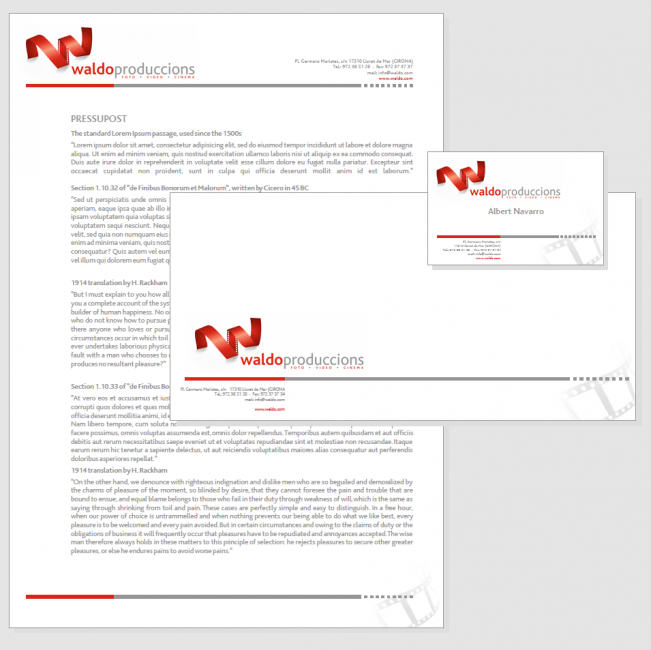 Brand design for a familiar audiovisuals production corporate and application in stationery and brand collateral supports. The rare name of the founder served us as starting point for the brand design. Taking the "W" as the main element, we created a symbol easy to remember and relate to the brand and its services.